We exist during an age in which trainers rule supreme. 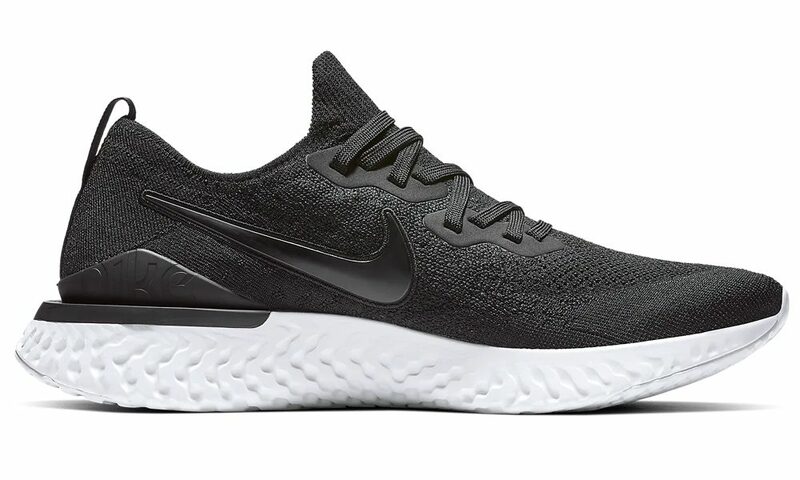 No longer are these sporty shoes reserved solely for track and field. Today you can even wear them to the office, or dress them up with tailoring. It’s a glorious time to be alive – if you ask us – and there are a number of labels responsible for making it such a pleasure. Below, we showcase the greatest sneaker brands on the face of the earth right now, along with the reasons why they’re the best at doing what they do. When you’ve got world-class athletes, drooling sneakerheads and the general public alike all strutting around town wearing your trainers, you must be doing something right. Oregonian sportswear don Nike certainly is. The brand is responsible for some of the most iconic sneaker silhouettes in history and a lot of the industry’s most trailblazing new technology. If there’s one sports footwear brand to rule them all, Nike is it. 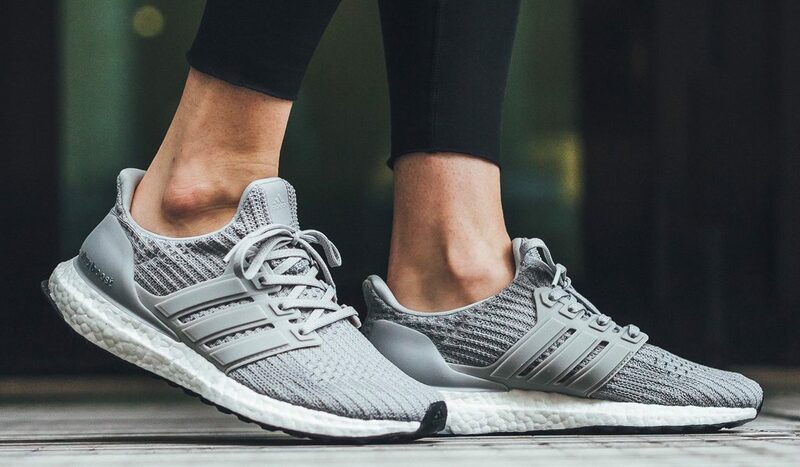 It’s the biggest question in sneaker culture: Nike or Adidas? For those in the latter camp, throwback styles, high-profile celebrity collaborations and boundary-pushing production techniques all play a part in the Three Stripes’ appeal. The German brand is the go-to for retro 1970s classics, terrace favourites, and hip-hop icons. But its forward-thinking approach to design keeps the output fresh and interesting as opposed to just relying on the archives. 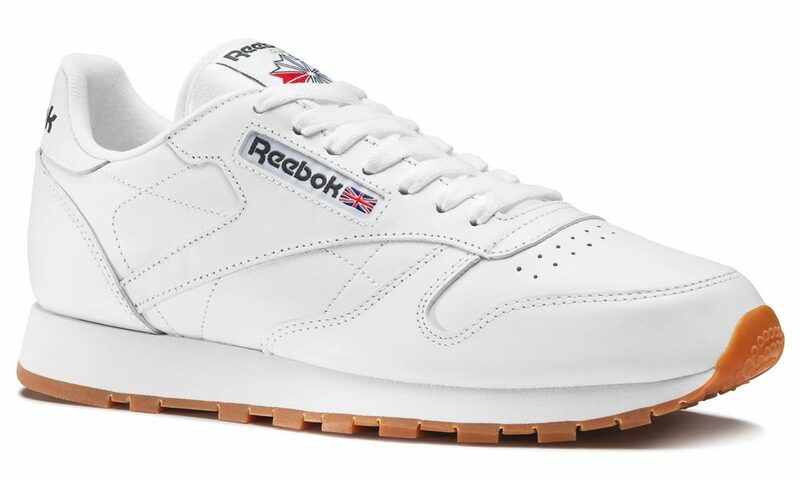 For classic sports silhouettes with a dose of British charm, no brand is doing it better than Reebok. The Bolton-born label has been doing its thing since 1958 and many of its most popular models have remained unchanged in decades. But why would you want to change them? These simple sports kicks are as timeless as they come and should be on every self-respecting stylish man’s shoe rack. Helmed by design maverick and Vetements man Demna Gvasalia, Balenciaga has been the label behind some of the most coveted shoes in fashion over the past few years. 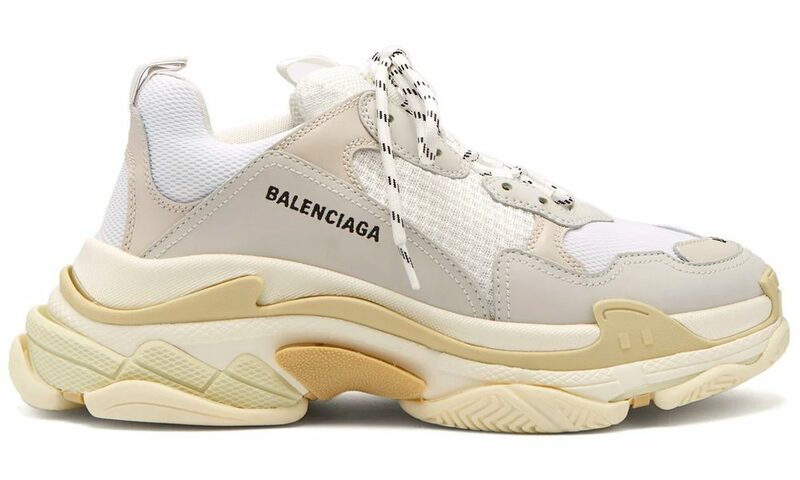 The sleek, knitted stylings of the Balenciaga sock trainer spurred countless imitations, while the triple S paved the way for the chunky sneaker trend that is still rippling through menswear to this day. A true trendsetter in the world of fashion footwear, the Spanish house even managed to make trail running shoes cool – and when you can do something like that, the possibilities are endless. The brand at the forefront of the 1970s revival which has captivated menswear has had many faces over the years, but one thing has remained the same: Gucci’s footwear offering has always been top of the food chain, which makes sense when you consider that at its core the Italian house is still a leather goods label. 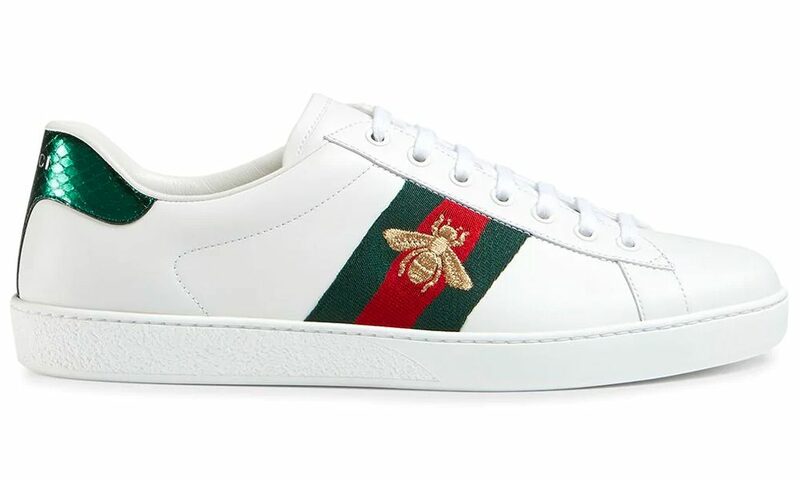 Sneakers are no exception, whether it’s the embroidered goodness of the now-iconic Ace model or something with more of a retro spin, Gucci has it covered. Mysterious Belgian tastemaker Martin Margiela is known for keeping a low profile and letting his work do the talking. And even though the designer has long left his eponymous brand, his values and aesthetic live on. Best known for its luxury take on the classic German army trainer, the Replica model is, well, a replica of a military issue sneaker given to German soldiers. However, reimagined in premium materials and featuring quirky design motifs, this is not your average pair of pumps. 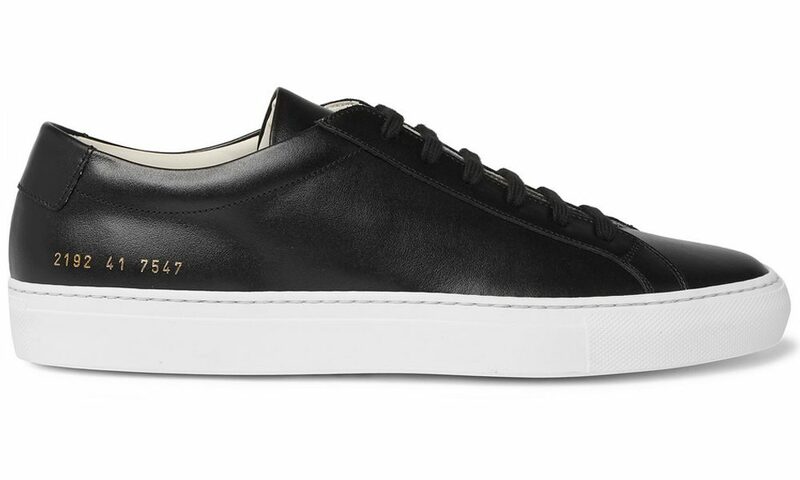 The brainchild of the supremely talented Adam Lewenhaupt, Swedish brand CQP’s sneakers redefine stealth street luxury. Completely unbranded, designed in Stockholm and made using the finest Italian leathers and suedes, they have quickly become a favourite of menswear insiders. CQP launched their Tarmac model just 5 years ago but it rapidly garnered acclaim from those in the know. The label has since added new models like the Atlon, a 1970s-inspired running shoe, and Jetty, a premium slip-on silhouette. Each is the epitome of understated cool. 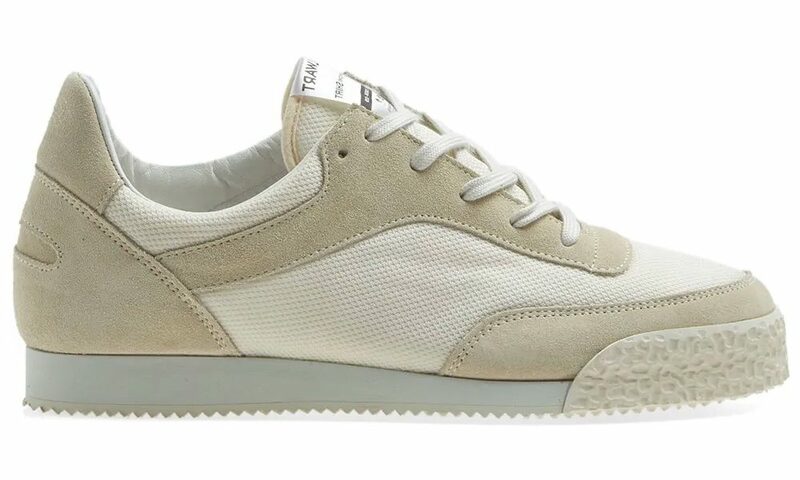 If the Balenciaga Triple S is the king of bulky kicks, then the Common Projects Achilles Low is the same for luxurious, high-end minimalist trainers. Buttery-soft Italian leather, hand-stitched construction and subtle gold branding are par for the course. But more importantly, the sleek, stripped-back design can be worn with anything from selvedge jeans and a hoodie to tailored separates. There are few brands that can offer that level of versatility. Swedish footwear brand Spalwart was the result of two friends stumbling upon some old trainer moulds in a factory in Slovakia. After deciding to put them to use and see what the resulting shoes would turn out like, Spalwart was born. 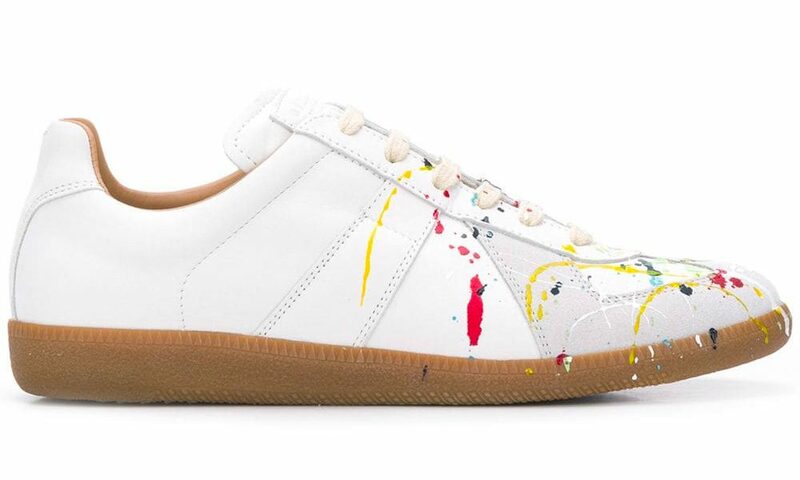 The label’s range has a distinctly retro feel to it, with styles that run the gamut from 1970s runners to canvas basketball shoes. All have two things in common though: uncluttered styling and a wabi-sabi aesthetic that has made them a go-to for fashion industry insiders. Plain white trainers are all well and good. In fact, they’re one of the cornerstones of any stylish wardrobe. 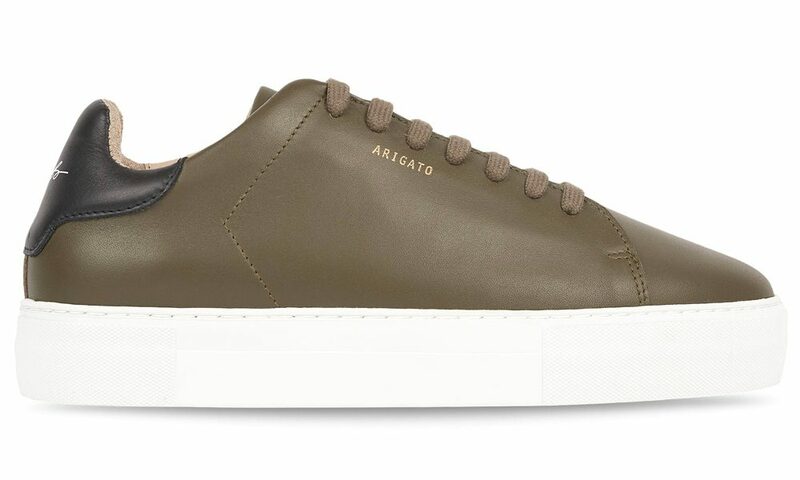 But if you want something extra from your pared-back kicks, look no further than Axel Arigato. The Swedish label is relatively young, having only come into existence in 2013. 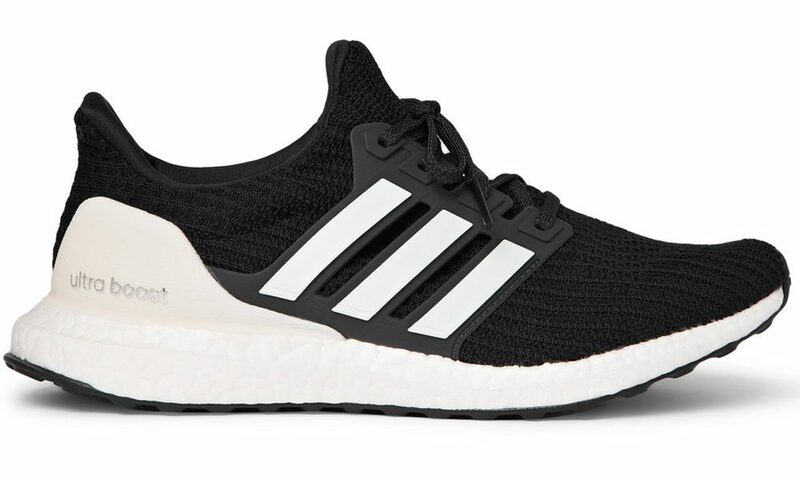 However, in that time it has cemented its reputation as the go-to brand for low-key, quirky footwear, separating themselves from the crowd through details such as laceless construction, chunky soles and cap toes. If it ain’t broke, don’t fix it – that pretty much sums up Converse’s philosophy when it comes to footwear. 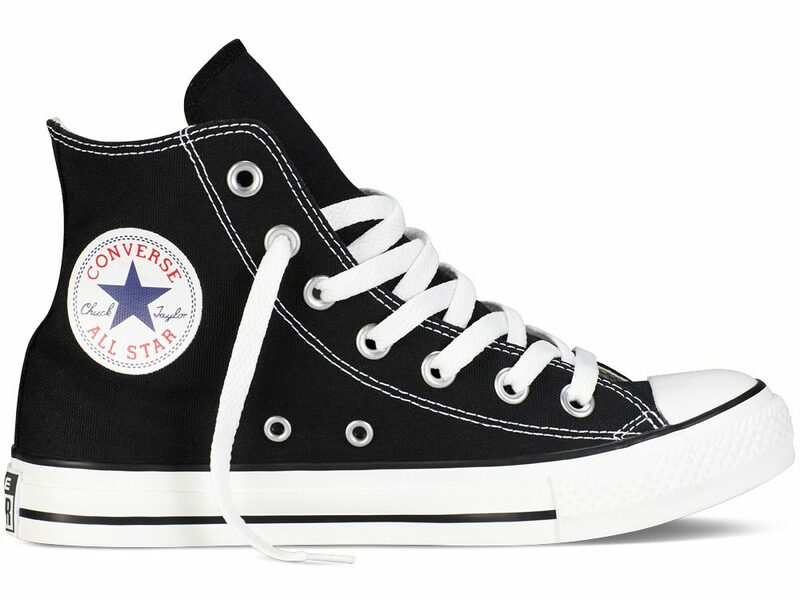 The brand’s most popular model, the Chuck Taylor All Star, has remained unchanged for over a century and is still flying off shelves across the globe today. Granted, you’re not going to get forward-thinking technology or innovative materials. What you will get, though, is a timeless pair of trainers you can keep trotting our year after year as part of almost any outfit you can think of. 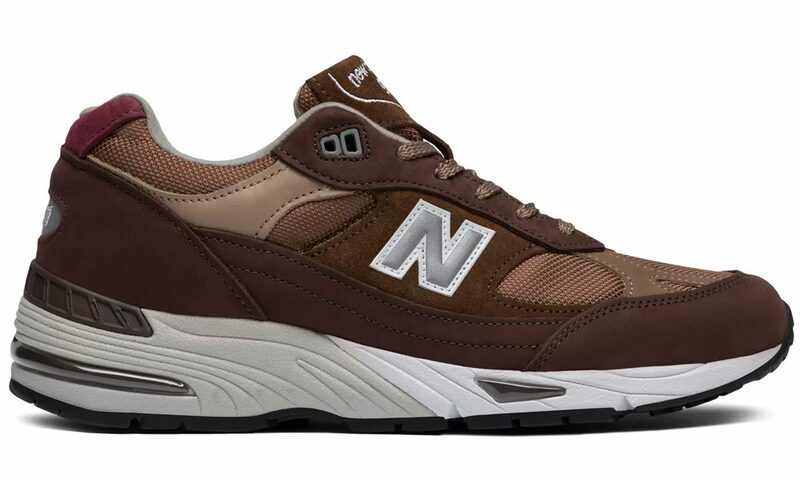 Whether you’re an endurance runner or a devout sneakerhead, chances are New Balance is a label you think of highly. With production of the brand’s premium trainers split between the UK and USA, these are some of the finest day-to-day shoes you will find. Next-level comfort and handsome looks are the name of the game here, but keep your eyes peeled for frequent limited releases and even the odd collaboration, too. Vans has been producing durable, stylish and – most importantly – affordable sneakers for skaters across the globe since the sixties. These are kicks designed to be worn everyday and able to withstand a battering – looking all the better for it. 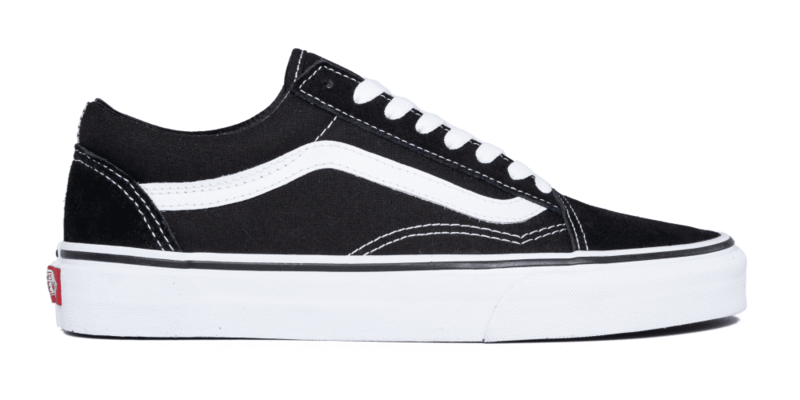 The California-based label’s signature Old Skool, Classic and Authentic models are considered icons within the industry and it’s testament to the simplicity of these designs that they are now spotted on the feet of everyone from fashion editors and stylists to hip-hop stars and streetwear aficionados. 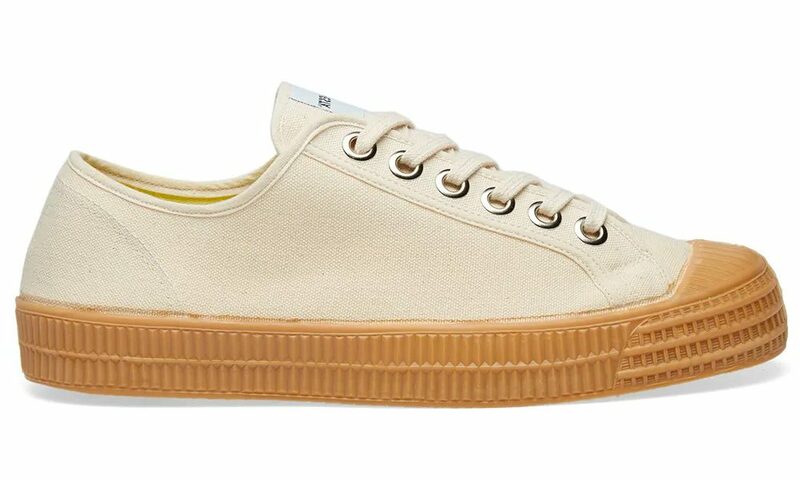 Slovakian footwear brand Novesta has achieved cult status in the contemporary menswear world thanks to its heavy-duty canvas plimsolls and retro runners. If you’re looking for a left-field alternative to your Chuck Taylors or Old Skools, this is exactly what you need. Chunky rubber soles, oversized eyelets and understated styling have made the brand’s Star Master something of an icon, and they even have a little picture of a hiker on the bottom. Although we wouldn’t advise scaling any mountains in them.